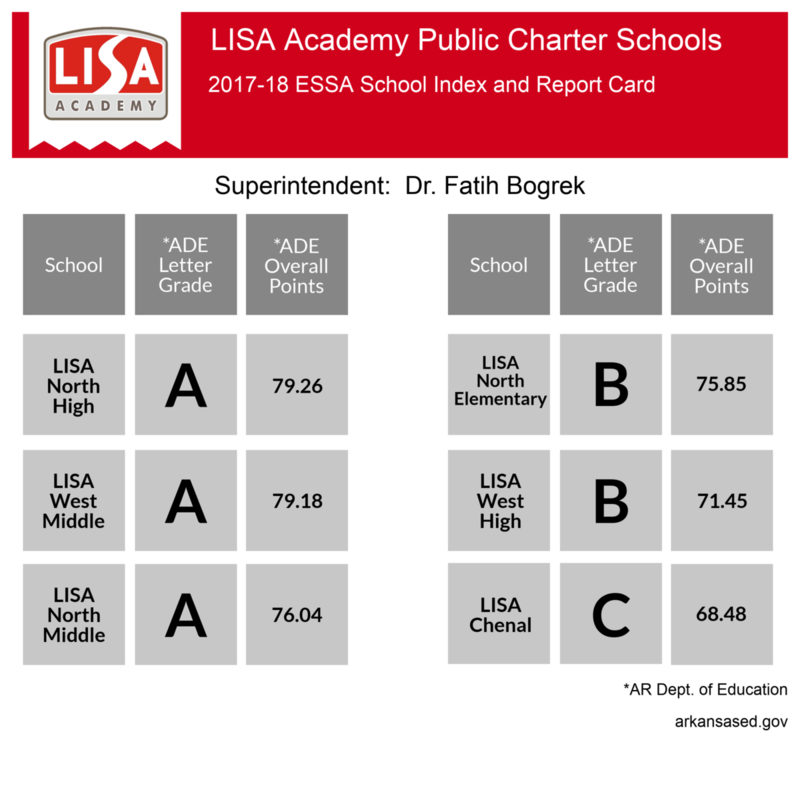 LISA Academy is proud to announce its 2018 ESSA School Index and School Report Card ratings. We have three A schools, two B schools and one C school within the district. More than 83% of LISA Schools rank A or B, as compared with the entire State. Click here for our current rankings and performance. We are proud to show that we are a very successful public charter district. The Accountability-at-a-Glance Report is intended to be an easy-to-read one page overview of the school rating and the school index score. For stakeholders that want to know more about the performance of the school, the ESSA School Index Report provides in depth analysis of the ESSA School Index indicators including features that allow the user to learn more about each indicator, compare the school’s progress aside other schools, understand the calculation of the indicator scores, and begin conversations with the school about partnerships for engagement in future school progress. 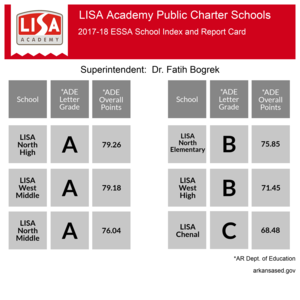 Please join us in celebrating these great ratings and help us spread the news about the quality education available at LISA Academy. You may see these rankings along with supporting information, in addition to being able to compare these results with other schools, at https://myschoolinfo.arkansas.gov/.